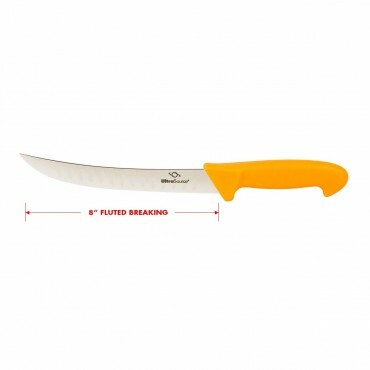 Cut through meat efficiently with this commercial breaking knife with 8"blade. The UltraKnife 8" breaking knife is curved to help get leverage to cut and break through cartilage, tought skin, and small bones. 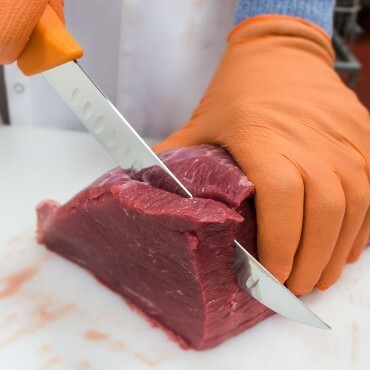 The knife is ideal for cutting through beef, pork, poulty and other meats. 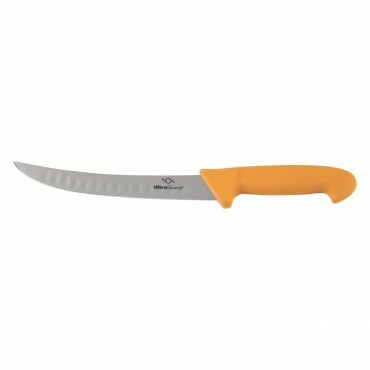 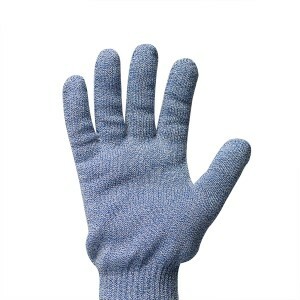 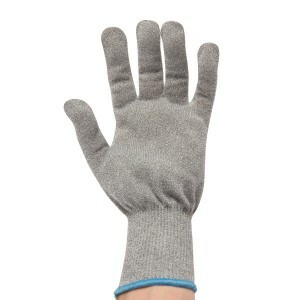 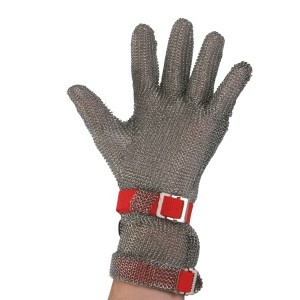 It is also a great knife to handle fish, game meat, larger vegatables and more. 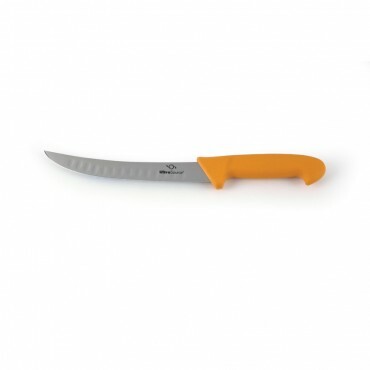 The knife also has a fluted edge to reduce friction and contact areas to make cutting even more efficient. 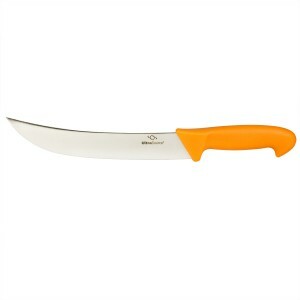 This 8" industrial breaking knife is an incredible value and a great addition for any butcher's supply. 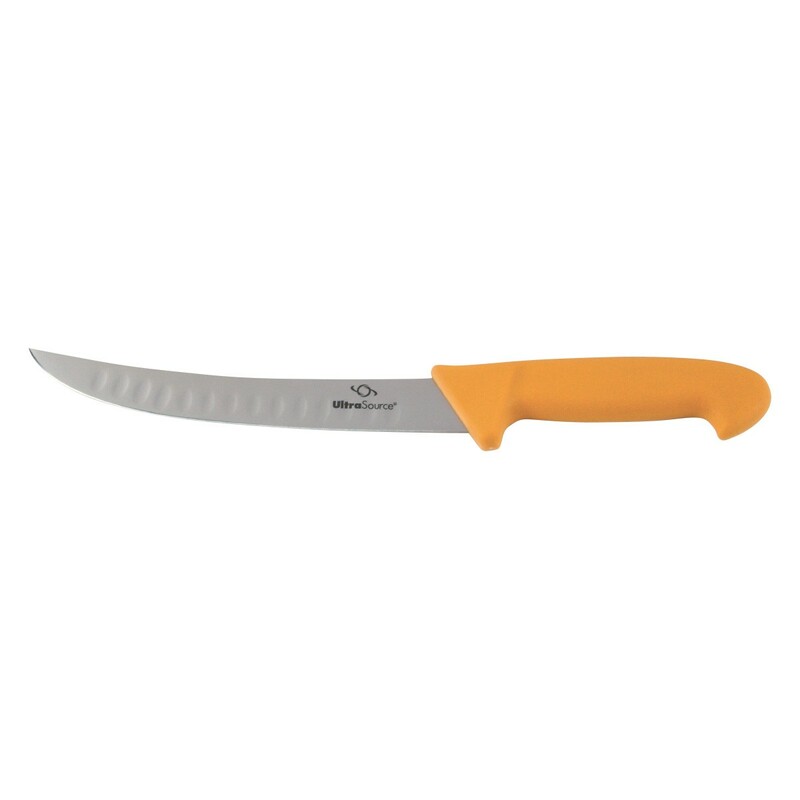 This knife is used by butchers, processors, packers, chefs, home cooks, hunters, inudstrial meat packing plants, restaurants, BBQ enthusiasts and more. 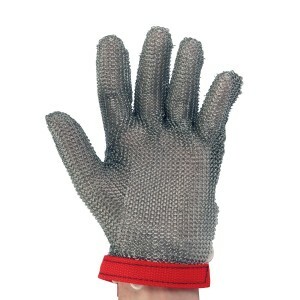 It's built to last, this industrial strength knife is designed for a long life of precision cutting.